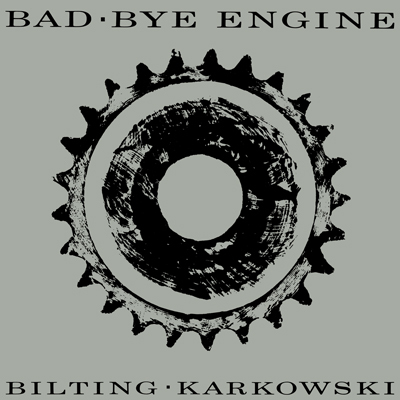 Bad Bye Engine was released on vinyl LP by Radium in Gothenburg 1988. 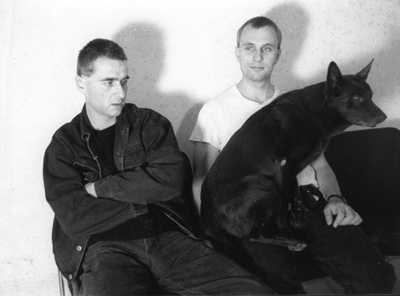 It was created, mixed and produced at the computer music studio at the department of computer science at Chalmers University of Technology, by Ulf Bilting and Zbigniew Karkowski. They had met as a result of cooperation project between the College of Music and Chalmers. The studio consisted of two Yamaha TX816 banks (equivalent to 16 DX7s), an AKAI S900 sampler, analog mixer and two TEAC tape recorders, 8- and 2-track. Very little midi sequencer software was available at the time, so a system of programs for generation, manipulation and playing midi data was created on the VAX-11 BSD Unix system at the department. Time-stamped midi data (an invented format preceding standard Midi Files) was transferred to a specially built processor with 8 midi interfaces that controlled the real-time playing, recording and synchronization of midi. Many of the tracks use a technique of playing many, very short sounds on the TX816s to create musical shapes, e g the first sound heard in He Van He consists of about 800 attacks with a duration between 0.1 and 0.2 secs. The idea of making short tracks was quite unique at a time when almost any electroacoustic music piece were streched out over an entire LP, or several. Please feel free to download the tracks below.